The Model X-22 Pistol is CNC machined from solid Aluminum, chambered in .22LR and built to accept 10/22 magazines. 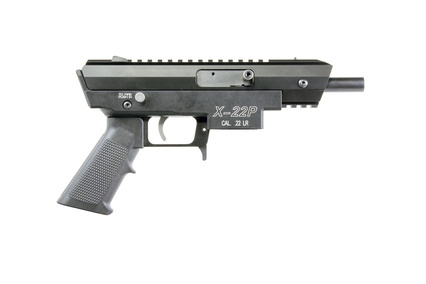 The pistol includes an integral weaver base to mount a variety of scopes, sights and optics. 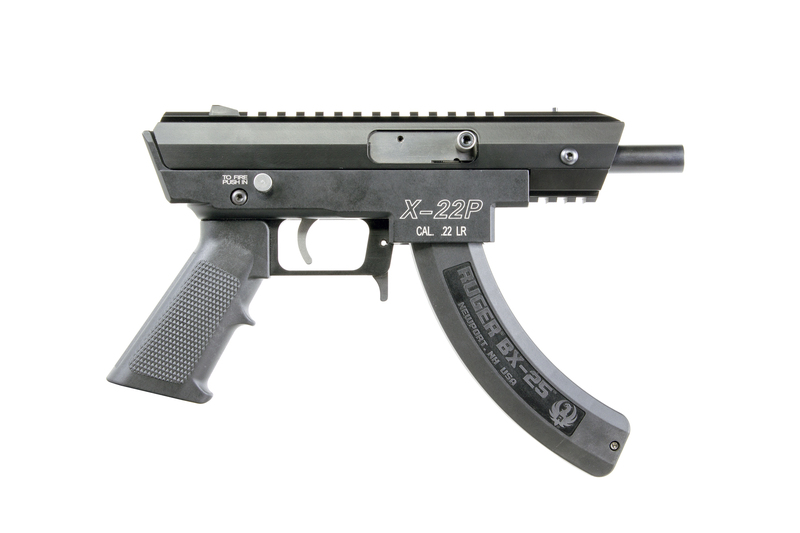 The pistol has adjustable sights, 4.5" barrel and a accessory rail will be available for mounting Lasers and Lights. The Centerfire X-Series of firearms are CNC Machined from billet aluminum and feature tactical AR styling. The unique design provides a picatinny rail for mounting various optics and sights. tapping holes in the hand guards provide mounting of accessory rails. collapsible stock on the rifle for a comfortable fit. Basic models and package Models with optics and accessories available.